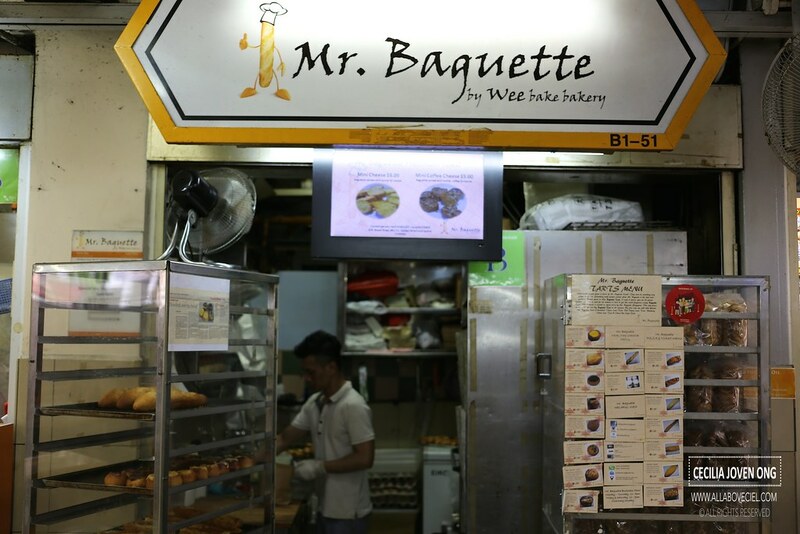 Mr Baguette is an interesting stall that has been around at the basement of Golden Mile food centre for more than 3 years. 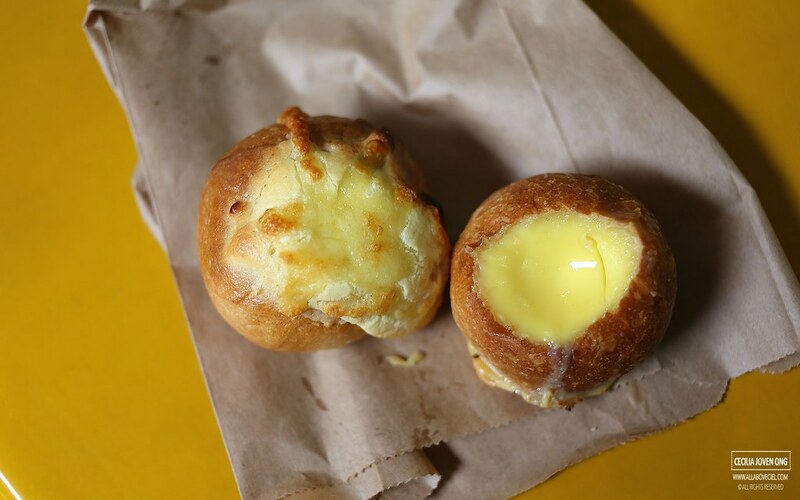 It is a bakery stall that you hardly find in a food centre and they serve Baguette Tarts with different types of fillings from cheese, chocolate, azuki beans, green tea and also egg pudding, there are more than 10 types for selection. The cheese and chocolate are the most popular choices. 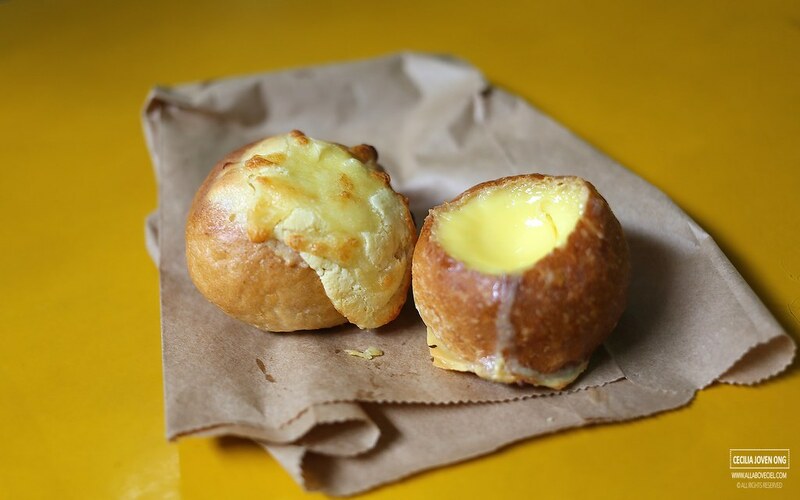 I was told by Kent Wee, the owner that he is the only one in Singapore that is making these tarts. It just got me to wonder a little why did not any of those bakeries replicated this unique creation? Apparently, the secret is in the bread recipe which produced rolls with a thinner but crisper crust to give such an unique texture. He then using the machine to nicely dug out the inside and create a hollow shell. The 42 years old Kent used to work as a Baker then Bakery Consultant along with Irene, his wife to come out with the Baguette Tarts, added on to their baguettes and toasts. 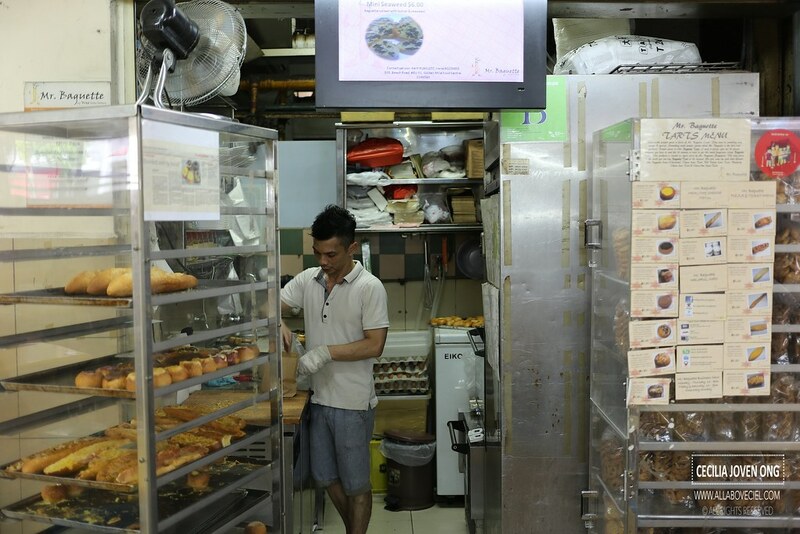 Their Baguette Tarts are now their most popular items and sold up to 800 pieces daily. 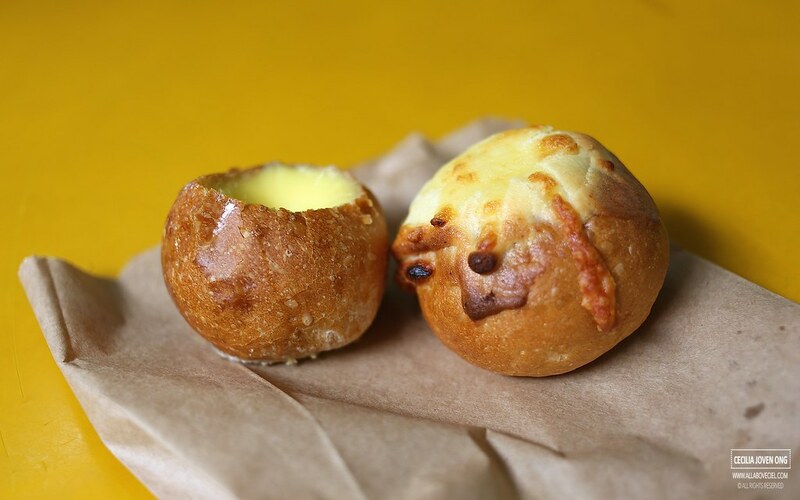 The Baguette Tarts are actually mini bread bowls that carved from spherical loaf of breads about the size of a small bun and it consist of rich molten sauces. I actually asked Kent, 'How good are your Baguette Tarts?' He said, 'I could not tell you how good are those but i could only tell you how i make them.' He went to the back and came back with a Baguette bread that has a hole in it. He said he baked those and filled them up with different fillings. 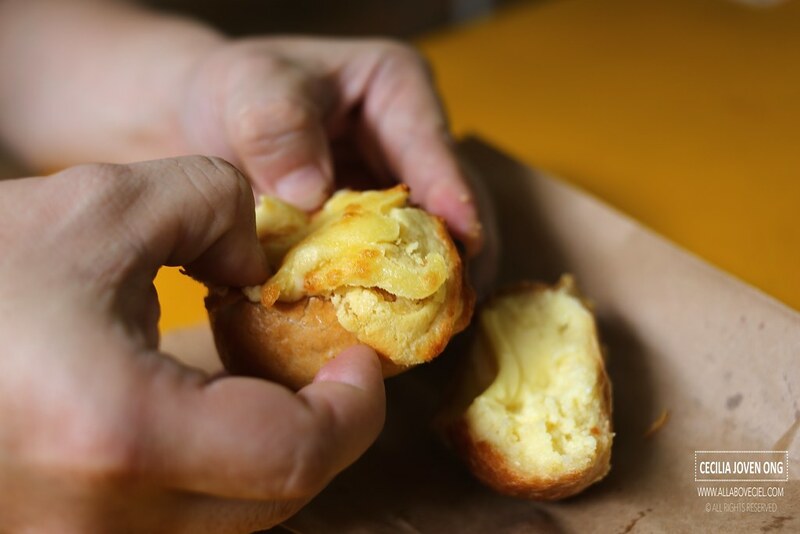 He heated up those tarts before serving to soften the filling and to warm the bread, he placed them in a paper bag and handed to me. 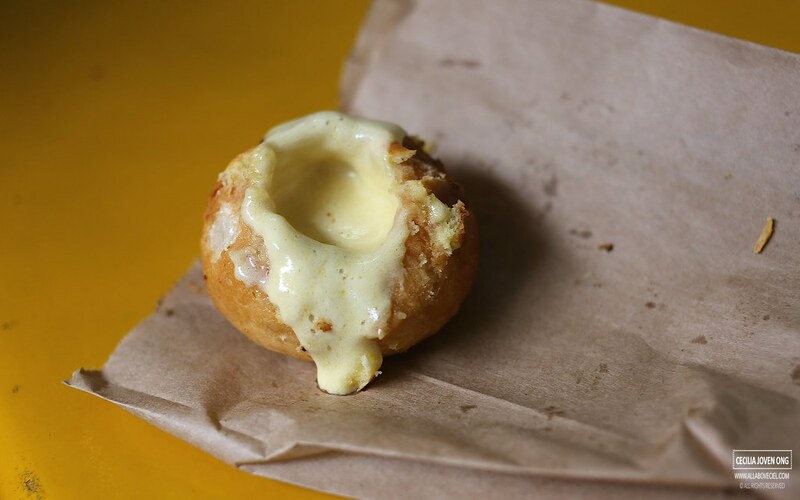 The original Baguette Tart ($1.20) that they created in 2012 consists of light and buttery egg pudding that made from whipping cream, milk, sugar and eggs. It actually tasted like an usual egg tart but instead you have them in the crust, it is in a baguette. 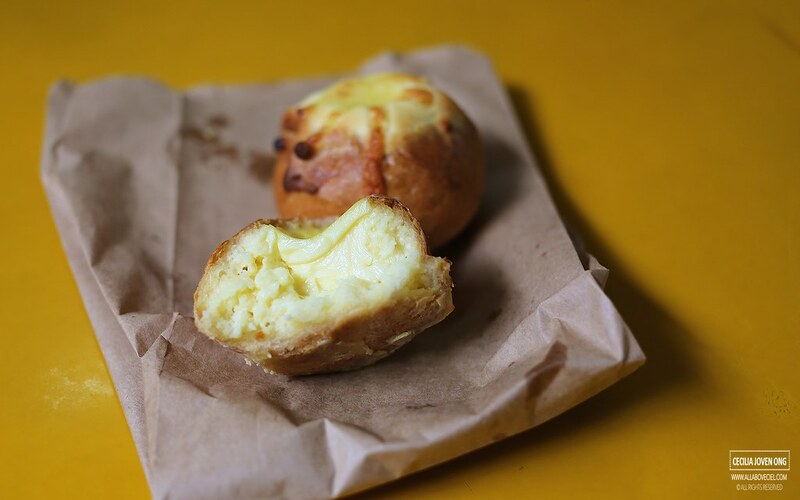 The Cheese Lava Tart ($1.80) was warm to hold when you bring it closer for a bite, the filling was a bit hot but aromatic and it got me wonder where to place my first bite, it was indeed a bit tricky to handle. I bite it slightly to create just a small hole but it still did not stop the lava cheese from oozing out and created quite a mass thereafter. I got the lava cheese not just on my hands but also my t-shirt and nose too. No matter, i enjoyed eating it.